Published: Oct. 7, 2018 at 03:48 p.m.
Tennessee Titans cornerback Adoree' Jackson jumps to intercept a pass from Buffalo Bills quarterback Josh Allen. 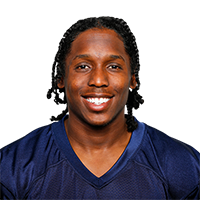 Published: Sept. 16, 2018 at 03:38 p.m.
Tennessee Titans cornerback Adoree' Jackson gets his first NFL interception by picking off Texans quarterback Deshaun Watson throwing to wide receiver DeAndre Hopkins into double coverage. Published: Dec. 31, 2017 at 06:03 p.m.
Tennessee Titans cornerback Adoree' Jackson forces fumble, sets up Titans with great field position. Tennessee Titans cornerback Adoree' Jackson makes a great return.